This program allows the Junior League the opportunity to work with local nonprofit organizations and community events. The League assists with a variety of projects that can be completed in one day, ensuring volunteers quickly respond to community needs. 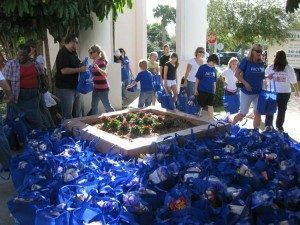 The League typically helps staff events by providing hands-on leadership and assistance to people attending programs, such as Back to School Bash, Mounts Botanical Fall Family Festival, St. Mary’s Hospital Halloween Party, Boys Town Basket Brigade, Vita Nova, Special Olympics, and Palm Beach Atlantic Children’s Symphony.